"Death Is a Living Process"
Over 1250 people have viewed our webinars, and the response has been overwhelmingly positive. 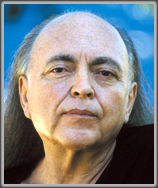 Now available as a recording our second webinar gives further insight into the death and dying process and share more of the wisdom of Avatar Adi Da Samraj as found in his book Easy Death. A 60-minute webinar. Also suitable for those for whom English is a second language. "An exciting, stimulating, and thought-provoking book that adds immensely to the ever-increasing literature on the phenomena of life and death...Thank you for this masterpiece." Avatar Adi Da Samraj (1939-2008) devoted His life to establishing the means whereby all human beings can realize ultimate Truth. He communicated that Truth through many channels—literary, artistic, and spiritual. During His lifetime, Adi Da touched and transformed the lives of many thousands of secular and religious seekers, founding a new sacred tradition for those who respond most seriously to His spiritual calling and enter into a formal devotional and spiritual relationship with Him. His numerous books of spiritual, philosophical, social, and practical wisdom are widely acknowledged as among the most insightful spiritual teachings of the modern world. His book Easy Death gives both practical and spiritual wisdom on the death and dying process. Angelo Druda is a senior educator and minister in Mate Moce, the death and dying ministry established by Adi Da Samraj to serve those in the dying process and provide wisdom and education addressing the fear and suffering that surrounds the death process. He has conducted seminars based on Adi Da Samraj’s Easy Death for doctors, nurses, government ministers and thousands of people in the United States, Canada, Europe, Australia, and New Zealand. Angelo is the author of The Tao of Rejuvenation and numerous articles on health, rejuvenation, and how to serve the dying. © 2015 ASA. All Rights Reserved. ADIDAM is a trademark of ASA.